MyCapeTownInfo.com has successfully launched a booking search engine that enables potential guests the ability to book a hotel and a flight to Cape Town without having to navigate to other websites. This incredible search engine now allows potential tourists to determine the bulk of their travel costs in one place. When a future holidaymaker is making plans to go on holiday to Cape Town they frequently have to find a website that specialises in Cape Town hotels and also log onto a few airline websites as well. What frequently tends to happen is a very frustrating search for the correct combination of flights and room availability at the right price. The new booking engine at MyCapeTownInfo allows future travellers to search for a Cape Town Hotel and a flight in one easy step. The potential tourist can search for the lowest price on an airline ticket and best priced hotel at the same time and has the ability to match the flight and the accommodation to each other. MyCapeTownInfo.com currently provides information about more than 300 Cape Town accommodation venues in the greater Cape Town area. 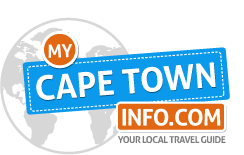 MyCapeTownInfo.com also provides information about restaurants, Cape Town nightlife and leisure excursions to tourists. Cape Town is an incredibly beautiful city that is located at the foot of the majestic Table Mountain. What makes this mountain spectacular is that it sits on the edge of the Atlantic Ocean. Pristine beaches such as Camps Bay and Clifton are known as the playground of the rich and famous locally and internationally. Accommodation options in Cape Town are numerous, with self catering apartments, backpacker’s hostels, bed and breakfast guest houses, holiday villas and hotels all available. Tourism in Cape Town has grown into a major source of revenue since 1994 when the first democratic elections were held in South Africa and all sanctions were lifted. Tourists have been experiencing the beauty of Cape Town for themselves and returning with their friends and family for the last few years. The resulting demand for more hotels in Cape Town has seen new hotels opening every year since. Cape Town has been voted as one of the world’s favourite long haul destinations by a number of airlines and recently was one of the cities to successfully host a South African FIFA World Cup Semi Final match. Cape Town’s pristine beauty is in essence still being discovered by the world. The publicity received from the World Cup translates into Cape Town’s singular biggest marketing activity. The new search engine can be also be sold by MyCapeTownInfo.com directly to these Cape Town accommodation businesses allowing them to retain the interest of the visitors to their websites longer and increase direct bookings. The introduction of the booking search engine on MyCapeTownInfo is a part of a larger ongoing website upgrade throughout the MyDestinationInfo websites worldwide that will enable other types of tourist businesses such as hotels and tour operators to also offer special deals directly to potential clients.